We are crazy for polka dots and this dreamy pyjama set is on our hitlist. 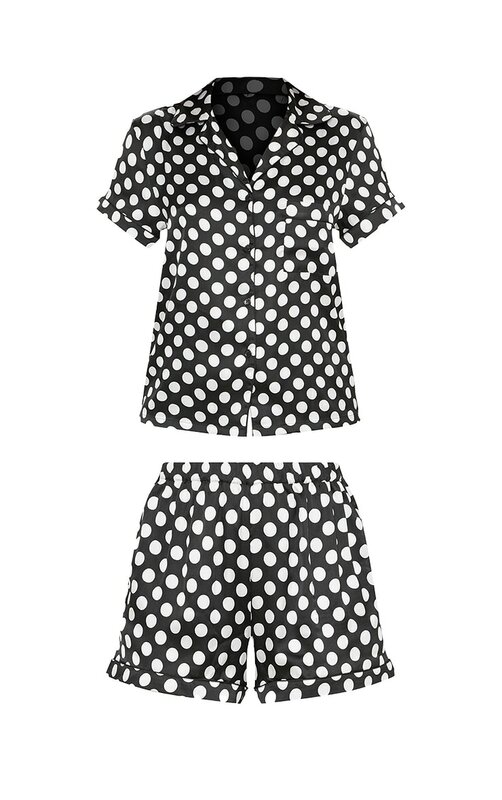 Featuring a monochrome polka dot satin material with a short sleeve shirt and the matching shorts. We are completely obsessed with this set doll.